fabulous motherhood: Facebook Page of Baby Khalifah Series.. I just created facebook page for Baby Khalifah Series recently..
To make it for official and the info for ordering also boleh melalui facebook nanti..
Hopefully with this effort, the product can penetrate more in the market, InsyaAllah..
Feel free to visit the page and will be very honored if guys can help me to "Like" the page as well..
Not only that, the reason of creating this fb page also due to the good news that I'm gonna share with all of you darls, soon...!! 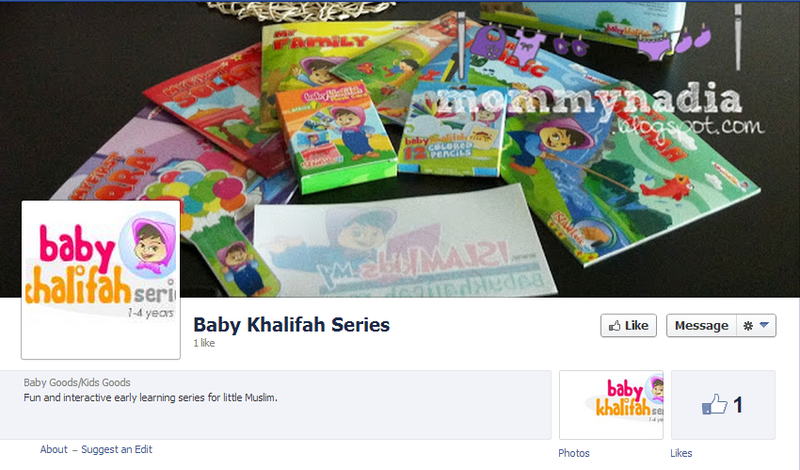 Btw please click below link to the fb page of baby khalifah series as the username not yet registered..